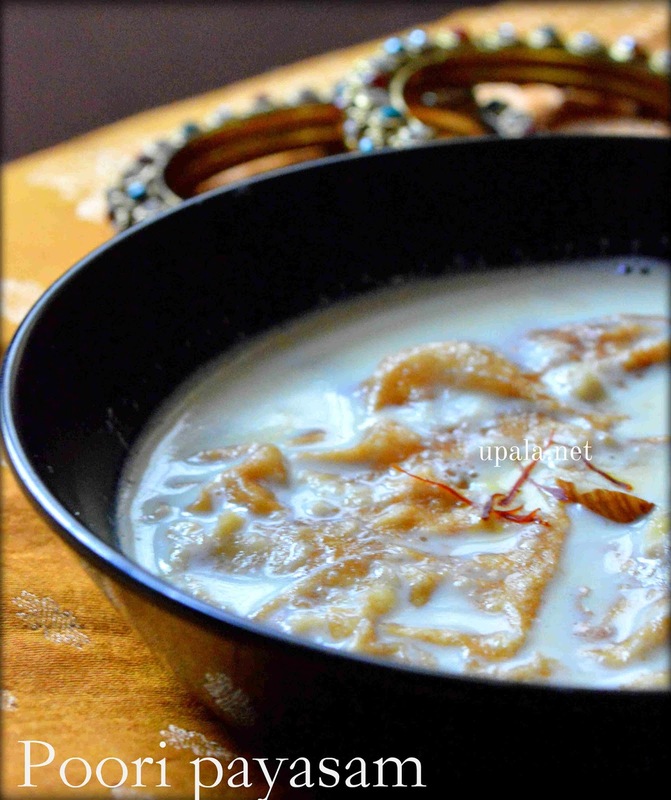 When ever I make pooris, I will save some for this payasam as it is a tasty dessert. 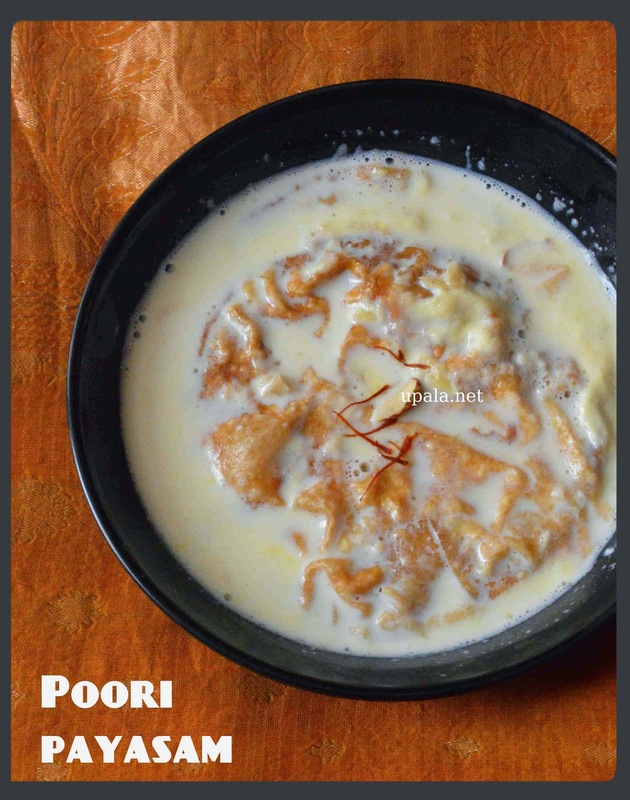 If you are bored of making regular payasam, try this poori payasam and I am sure you get loads of appreciation. If you are preparing for guests, you can prepare this dessert well in advance and refrigerate. For poori recipe, click here. 1) Heat milk in a kadai, after it boils add saffron. 2) Place a ladle and let it boil for half an hour in medium flame with occasional stirring to avoid getting burnt. 3) Add chopped nuts, Milk maid and sugar, mix them well. 4) Add the fried pooris one by one and let it boil for another 5-10 minutes then switch off the flame. 1) You can also cut the pooris into pieces and add to milk. 2) As milk maid already has sweetness, adjust sugar quantity according to taste. You can also skip adding sugar if you prefer mild sweetness. 3)You can also add 1 cup of milk finally liquefy the payasam, if all milk are absorbed by poori.